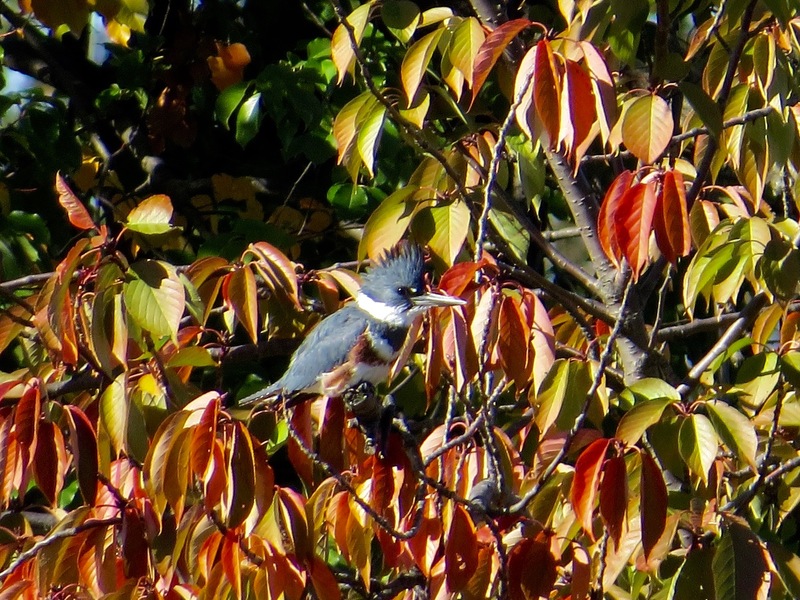 A female Belted Kingfisher (Megaceryle alcyon) in Green-Wood Cemetery recently. You almost always hear these birds before you see them. This one wasn’t rattling loudly, it was more of a whisper or grumble under her breath. Nonetheless, my ears crested, as it were, when I heard that dry sound. 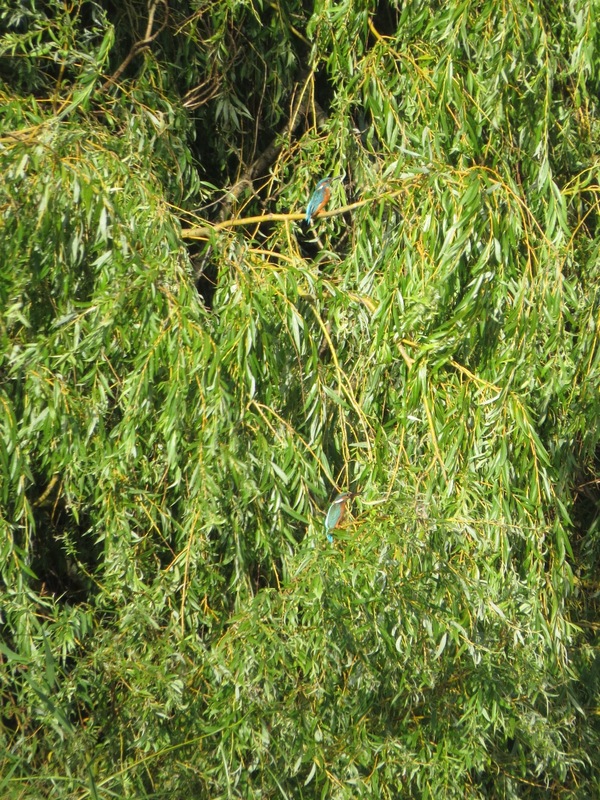 I find Kingfishers generally intolerant of people. That’s no insult. But here’s a male I got a little closer to at the beginning of the year. It was in the same tree as this more recent female. While there are two other kingfisher species found in the Rio Grande Valley, the Belted is widespread across North American. 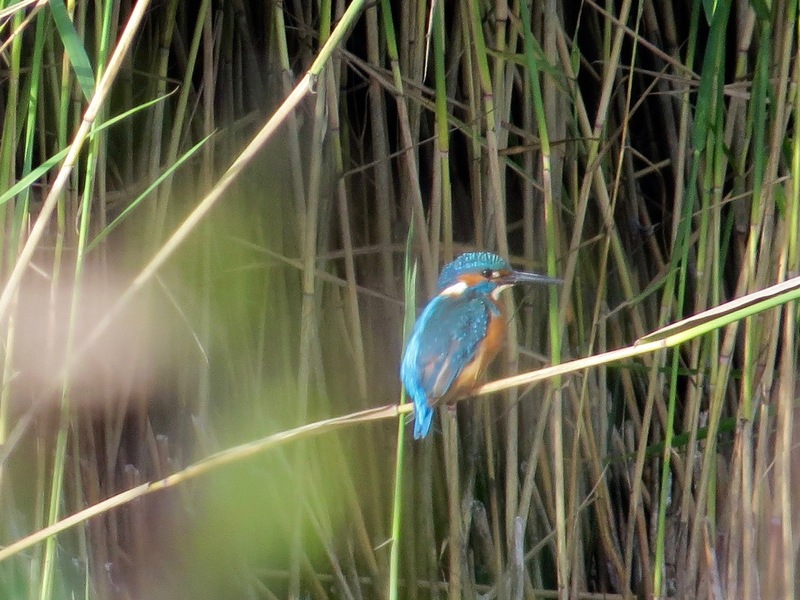 Europe, meanwhile, has a single species, simply called Kingfisher or Common Kingfisher (Alcedo atthis). I finally saw one! This small, colorful species, which looks all the world like it belongs in a rainforest, is elusive. 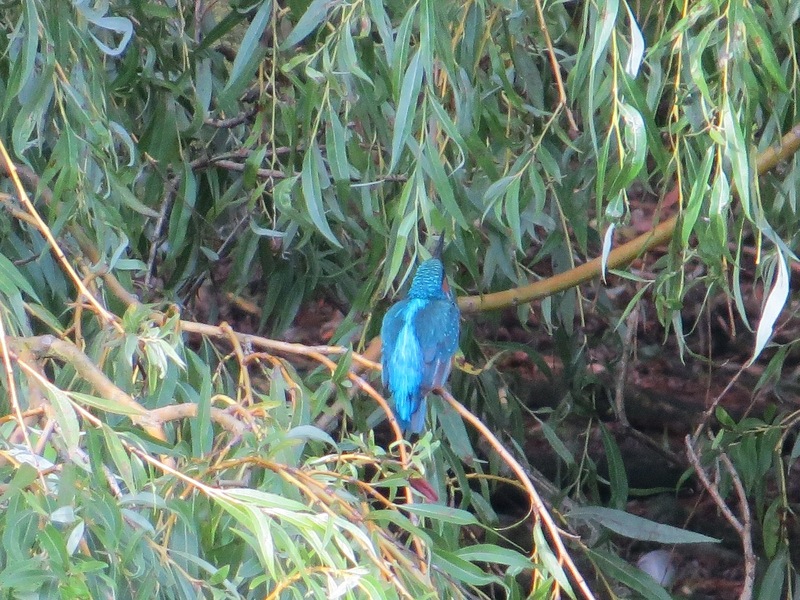 And, for such a vibrantly colored bird, it’s hard to pick out in the green. Here, for instance, are two in a park in Malmö, Sweden. This is about the northern limit of their range. (How I wish my photos were better!) Both Belted and Common have white spots to front of their eyes, but this isn’t at all universal among the 114 members of the kingfisher family. That turquoise! A more muted one (color) visits the lake below my Ozark cabin sometimes and darts into the water for meals. It’s entertaining. I even featured it in one of my stories. Those without the reddish breast band are males. One of the few bird cases in North America where females are more colorful.